I arrived at my local airport at 5:30 am on a Sunday, checked my bag, and got in line for the security check. Before I produced my drivers license and boarding pass, the female TSA agent who was doing the documents scan greeted me by name, like an old friend, "Well, hello, Robert!" Her Southern accent was familiar and so was her warm smiling face. I recognized a woman who had been a member of one of my monthly evening circles more than a decade before. She had entertained us with wonderful stories of growing up in the rural South and of dream travels to ghost villages and other locations that are not on airline itineraries. "How come you're working here?" I asked her. "I was dreaming about airports so much I decided I might as well work at one." It felt like a very good start to the day, to meet a gatekeeper who is also a dreamer. The Gatekeeper is a very important figure in my imaginal life. In dreams, the Gatekeeper may appear as a generic figure familiar on the roads of regular life - the customs officer, the ticket collector, the security guard. Sometimes the Gatekeeper appears in more enigmatic or mythic guise. I have met the Gatekeeper, in my dreams, as a slick fellow beckoning me towards an open archway, leading to delightful vistas of life possibilities, while holding a door I was trying to force open shut. I have met the Gatekeeper in dreams - and on the dashboard of an Indian taxi driver, after riding on Air India - as elephant-headed Ganesha, and as a black dog who sometimes walks on two legs, as Anubis does. I am very much alive the play of the Gatekeeper (who can be a trickster, especially if we are too set in our ways) in the ordinary reality of airports, on the way to different planes. At Sea-Tac airport, some years ago, a cute dark-skinned TSA agent laughed in my face when she inspected my drivers license. "Why are you laughing?" I asked her. "It's because of your name. In my language, 'Moss' means 'Banana'." "What language would that be?" "Somali". The humorous side of the Gatekeeper was definitely in play that day. Just think about it. Being teased at an American airport because your name means something funny in Somali. After I sent my carry-ons through the X-ray machine at my home airport in upstate New York, I was stopped by the security guards. "You got a lampshade in here?" The guard indicated my drum-bag. "Actually, it's a drum." I willingly extracted the simple frame drum that has powered many, many group journeys in my workshops so they could see. "Will you play it for us?" the guard requested. "Excuse me?" "Go on, we'd like you to play." So there, just inside the security barrier, I was tapping out the heartbeat of the drum, surrounded by smiling faces. That felt like another good start to the day. I've saved the best story of brushes with the airport Gatekeeper for last. This was back before 9/11.I had been leading a shamanic gathering up on a very special mountain and had rushed to the airport without considering what tools and toys I had stuffed in my drum-bag. On the other side of the X-ray machine, a security guard asked me, "Is this yours?" 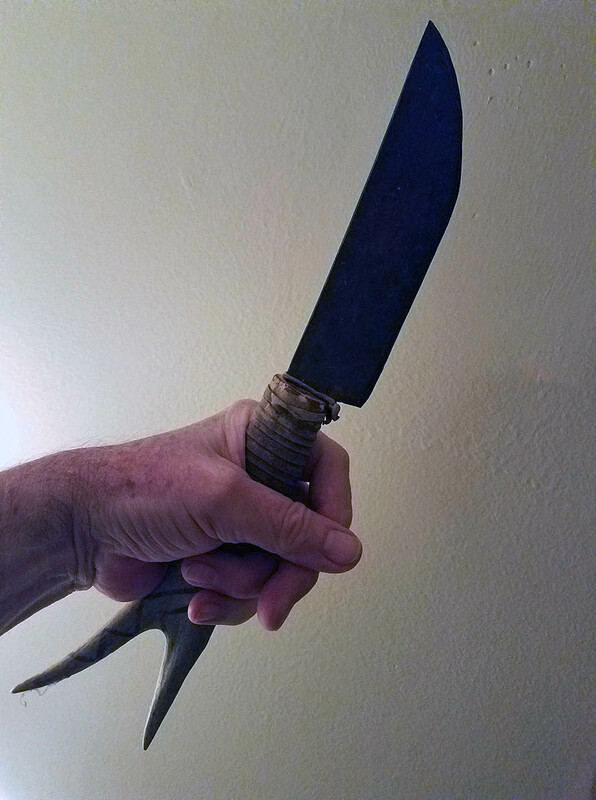 To my horror, I saw he was holding up a ceremonial Lakota knife with an elk-bone handle that he had just removed from my drum-bag. He extracted the blade from the sheath and held it up. "Wait here. I have to get my supervisor." Wild thoughts are thrashing in my brain. They'll arrest me. They'll grill me. At least they'll give me a tongue-lashing for being such a fool as to leave that knife in a carry-on bag. The supervisor appears. His first words are, "What time is your flight? "Good. We've got time to get this in your checked luggage so it can meet you at the other end. I'll walk you back to the ticket desk." 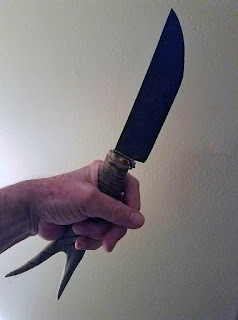 With this, he hands me the knife, still out of its sheath. 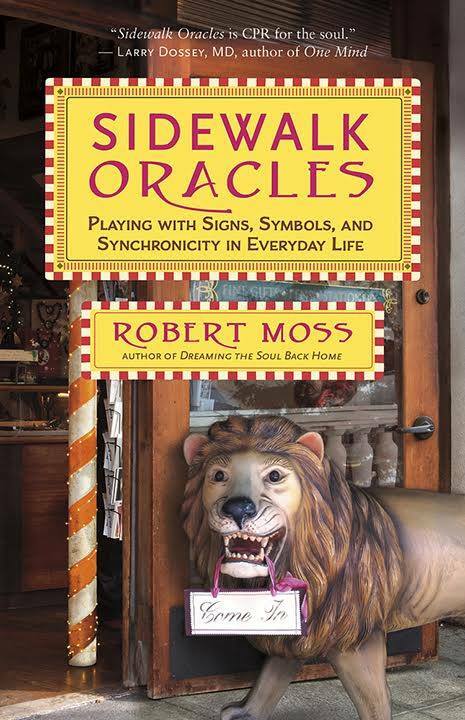 For more reflections on meeting the Gatekeeper and dancing with the Trickster, please see my book Sidewalk Oracles: Playing with Signs, Symbols and Synchronicity in Everyday Life. By my observation and experience, consciousness is forever scouting ahead of the physical body and returning with memories of the future. It is important to understand that any future we foresee is a possible future. We can change the odds on the manifestation of a certain coming event by learning to read and clarify the information and then by taking appropriate action. Shamans believe that in dreaming, we not only scout out the future but may actively choose between possible futures that are open to us. The more conscious we become, the greater our ability to choose. Physical events are born inside the dreaming, where it is possible to change them before they are manifested. Dream radar gives us fairly precise readouts on the probable outcome of our present actions and behavior, and the probable consequences of choices we might make in the future. Through dream reentry, we can check our messages and make sure we are working with all the pertinent information. By taking action based on the dream, we can steer toward or away from the dreamed event in waking life. Through conscious or lucid dreaming, we position ourselves to change the outcome inside the dream itself. Time lapse. Generally, the shorter the interval between the dream and the probable enactment of the event foreseen, the greater the chance that the event will be played out in waking life unless you are able to take deliberate action to avert the dream fulfillment. Personal involvement. Is the dream about you or people connected with you whom you may be able to influence? If so, you may have latitude to act to change the dream result. But if the dream is about strangers, a remote situation, or a natural disaster, there is probably little or nothing you can do – except, say, call a friend in California to warn about the next earthquake and risk being regarded as a nut or (maybe worse) as merely stating the obvious. Your willingness to act on a dream. Are you working actively with your dream source? Do you make a habit not only to read dream messages but to do something with them? If so, you may have more room to work around dream results you don’t relish. Life burdens. The future events you dream may be the results of disease, old age, past actions, decades of bad habits, or the culmination of a whole lifetime. It might be difficult or impossible to get out from under a big accumulation of personal karma! 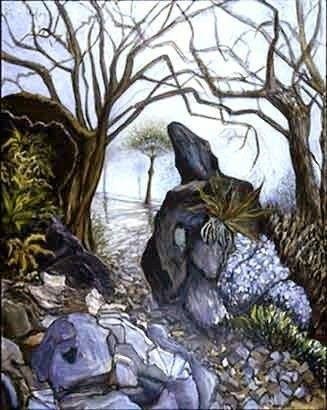 But even if an unwanted event, perceived in the dream, now proves to be unavoidable in waking life, the lesson brought home by the dream may prepare you for the worst and lay the ground for a fresh start. Text adapted from Robert Moss, Conscious Dreaming: A Spiritual Path for Everyday Life. Published by Three Rivers Press. Mark Twain is supposed to have said that history rhymes. I don’t know whether he really said that or not. The words have not been found in the canonical texts of this wonderfully noncanonical humorist. I do know that life rhymes. We notice recurring themes and symbols in dreams: running late for the plane, not prepared for the test, trying to keep the bear out of the living room. In the same way, we notice that themes and situations recur in everyday life. 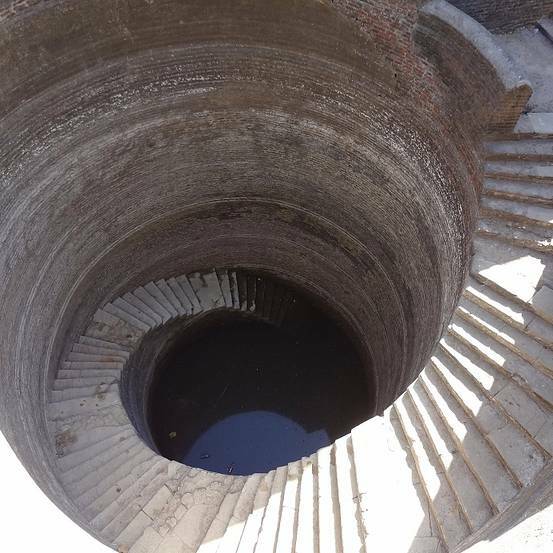 We found wellness in that well of memory. Notice what's showing through the slip. This is one of my rules of kairomancy, the art of navigating by synchronicity. Consider what happened when Mark Twain found himself on the wrong page. Mark Twain was a great student of meaningful coincidence, and even published an essay on "Mental Telegraphy", citing his own experiences of mind reaching to mind across distance without need of instruments. However, he missed what was showing through a recurring slip that he made, and his inattention bankrupted him. We may smile over the story because it happened in another time and the victim revived. 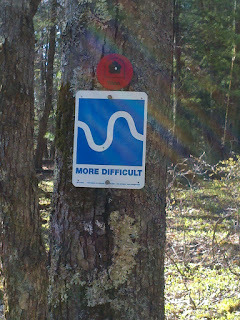 However, it has practical lessons for us in our current lives. Mark Twain always hoped to make a bundle doing something other than writing or speaking. He thought he saw his chance with the development of a new typesetting machine. Remembering his sweaty days, as young Sam Clemens, toiling with heavy trays of type in hick print shops, he dreamed of being present at the creation of a new technology that would make printing speedy and accurate, He was captivated by a man with a plan for a new typesetting machine, an indefatigable self-promoter named James Paige. As Mark Twain ruefully recalled later, Paige “could persuade a fish to come and take a walk with him.” Twain was soon convinced that Paige’s machine was going to be the biggest thing since Gutenberg, and he drained his bank accounts to become the biggest investor in the project. However, the enterprise was bedeviled by delay after delay, By the time Paige had completed a working prototype, his machine was obsolete, overtaken by new and superior typesetters. Mark Twain lost most of his money in this fiasco. Now for the word clue that was missed. Mark Twain never seemed to get the name of the inventor or the machine named after him right. I’ve gone through his correspondence and his journal entries on this theme. Again and again, he wrote “Page” instead of “Paige.” Mark Twain had decided to invest all his money in a machine that promised to make printing more accurate. Yet he could never spell the name of the machine or its inventor correctly. Doesn’t it seem that there was a cautionary message here? 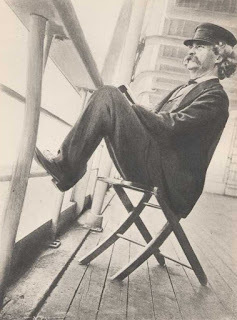 I’ll bet that with hindsight, Mark Twain would have agreed to the snapper: Notice what’s showing through the slip. The meeting took place in the lobby of the Murray Hill Hotel, where Sam’s friend Dr Rice recognized Henry Rogers of Standard Oil. Mark Twain and the forceful capitalist – sometimes called “Hell Hound” Rogers - hit it off. Rogers restructured his business affairs and sheltered him from his creditors until he was finally out of debt. For more on Mark Twain’s wrong Paige and his “rhyming life”, see chapter 10 of The Secret History of Dreaming. For more on the rules of kairomancy, and synchronicity games to play, see Sidewalk Oracles: Playing with Signs, Symbols and Synchronicity in Everyday Life. I used this poem as the prologue for my book Sidewalk Oracles: Playing with Signs, Symbols and Synchronicity in Everyday Life, and you'll find much guidance there on how to grow your poetic health and walk consciously in the Speaking Land, in a forest of living symbols that are looking at you. Art: Dorothy Englander, "Dream Path II"
- * Mind is nonlocal. Consciousness is not confined to the brain or to space and time. - * You are living, right now, in one of Many Interactive Worlds. You have parallel selves moving through life in parallel worlds. - * Time travel is possible. - * There is no firm separation between subject and object in the universe. - * At quantum levels the act of observation plucks one event into manifestation out of a soup of potentialities. This may also be true on a human and macro scale. - * Humans have an innate ability to communicate and influence people and objects across a distance. - * Any event that occurs in the universe is immediately available anywhere as information. - * Our experience of reality, like our experience of linear time, is a mental construct. Change the construct, and we change our world. By mastering the skills of Active Dreaming. Bring these powerful techniques together with ancient wisdom and new science, and you are ready to practice quantum dreaming, become a full citizen of the multidimensional universe and be present at the creation of your world. You will find that you hold the secret of time travel. You can travel into the possible future, scouting challenges and opportunities that lie ahead. You can travel to the past and into parallel world. You will gain first-hand knowledge of the multidimensional universe that science is modeling – and you can use this to heal and thrive in your everyday life. 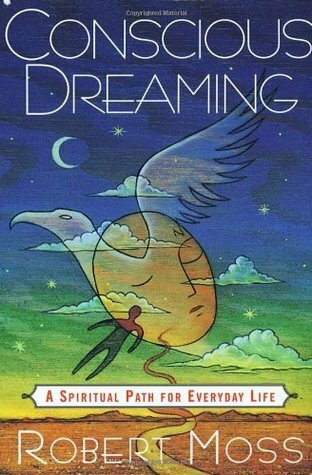 Active Dreaming is a discipline, like yoga, or archaeology, or painting with oils. It offers wild fun and great entertainment, but – like anything else worth doing really well – it requires practice, practice, practice. Active dreamers have an advantage over most people when it comes to putting in the hours required. We can do a lot of practice in our sleep! We are also doing deep practice when we learn to navigate by synchronicity are look at the everyday world around us as a set of dreamlike symbols. The best place to look for the chance of a quantum leap in our contemporary lives is the place where many pioneers of the new science have found their inspiration: the secret laboratory of dreams and half-dream states. In dreams, we are time travelers. Released from Newtonian physics and our consensual hallucinations, the dream self travels into past time, future time, and alternate realities. As quantum dreamers using the skills of shamanic journeying and lucid dreaming, we can travel consciously across time to scout the future for ourselves and others, and grow a better future. We draw confidence from the knowledge that the new physics confirms that in the limitless field of nonlocal mind the time is always Now. All probable event tracks – past, future or parallel - are accessible in this moment and may be revised for the better. You are a natural psychic of a high order in your dreams, when you let down your left-brain inhibitions and just do it. You routinely practice precognition, clairvoyance, telepathy. Such powers are sometimes described as examples of ESP. Today scientists are reviving a better term invented by the great Victorian scientist of the unseen, Frederick Myers: supernormal. 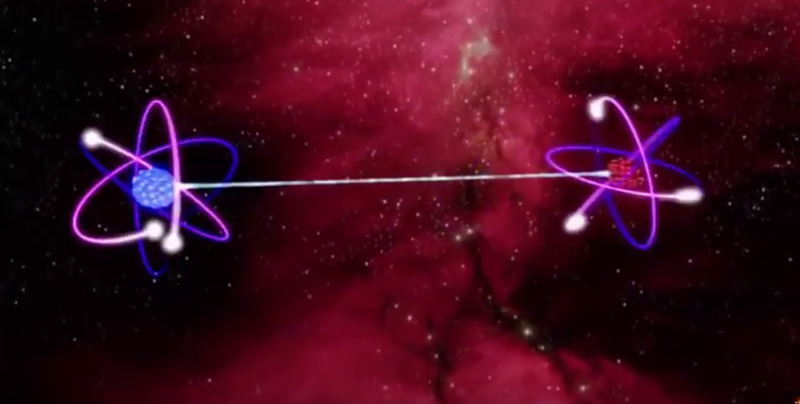 Scientists like Dean Radin maintain that quantum entanglement means that supernormal phenomena are inevitable. Laboratory research confirms that supernormal abilities are for real, and that the spectrum of possibility extends to retrocausation; reaching back across time to influence events in the past. The immense body of data on near-death experiences (NDEs) is scientific evidence of the survival of consciousness after the physical body has closed down. If you are now awakened to your own supernormal abilities to step outside time and space, you know that awareness is not confined to the body and brain, and therefore is able to survive death. You are ready to learn that healing and forgiveness are always available across the apparent barrier of death, and to develop your personal geography of the afterlife. What happens after death is far too important for us to rely on hand-me-down beliefs and second-hand accounts. We need first-hand knowledge. We get that by visiting places where the dead are alive, and by receiving visitations from those who have departed this world. Both ways of knowing are opened, easily and naturally, in dreams. Inner and outer, subjective and objective, interweave and move together at quantum levels, on a human scale, and no doubt everywhere in the universe. We live in an energy field where everything resonates — to a greater or lesser degree — with everything else. The world we inhabit mirrors our thoughts and feelings, and vice versa. 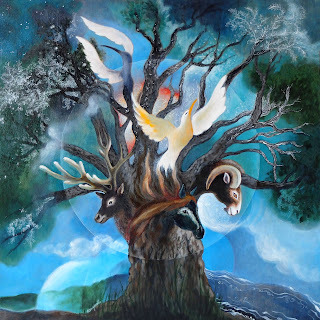 The physicist and the dream shaman agree: we live in a conscious universe where everything is alive and connected, and mind and matter interweave. To live most fully in this universe, we must learn to navigate by synchronicity, poised to recognize and act in those special Kairos moments when the universe gets personal. A kairomancer is someone who is ready to recognize the special moments when synchronicity is at work – and to seize on the revelation or opportunity that is now available. To be a kairomancer, you must be open to new experience, willing to set aside plans, grateful for secret handshakes and surprises, and ready to honor your special moments of revelation by taking appropriate action. 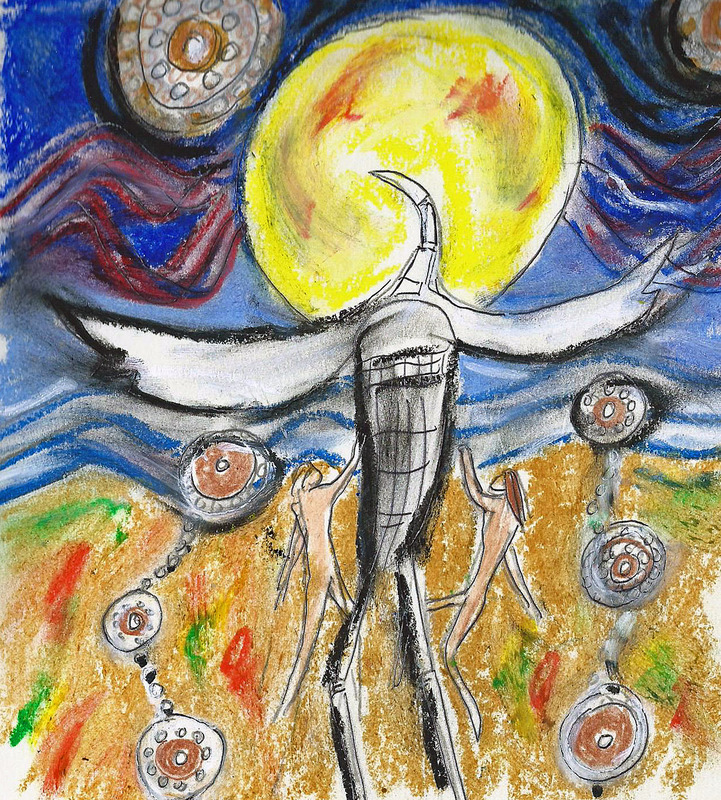 In the creation story of the Wayuu, the world begins when a god becomes conscious that he is dreaming and is made aware by a spirit of awareness that he can choose what to pluck from a matrix of potentialities to make an earth and the beings that will inhabit it. This is a mythic analog for the observer effect in quantum physics. As quantum dreamers, we can go consciously into the matrix, observe the pulse of possibility, and choose what we will bring into manifestation. As a active dreamer, you can step outside time and move towards the source of the events and circumstances that will be played out in your lives. You can stir the quantum soup of possibilities, and select what will emerge into form and manifestation. Graphic: Quantum entanglement may operate at human as well as microcosmic levels. If you adopt the practice of recording your dreams and comparing the dream data with subsequent events, it won’t take long for you to notice some match-ups. The incidents you preview in your dreams may be trivial or terrifying, blah or wonderful. They may be events in your own life, or events in the future history of the world. In our dreams, we have several kinds of engagement with the future. Such practice becomes very interesting when our dreams show us possible future events that can be changed for the better. Dreams may contain early warnings of a possible future development we may not want – a crisis at work, the bust-up of a relationship, a health problem, a car accident. We may not want to focus on any of these unpleasant possibilities. But if we are willing to study what an early warning dream is telling us, we will often find that it is giving us vital information that can help us avoid a possible future problem if we take appropriate action. Sometimes we dream the future for the benefit of another person, even a great cause. What will then happen depends whether we can find an effective way to get the dream information to the person who can best act upon it. 1. Record your dreams. Date them and give them titles. Note your feelings right after each dream. 2. Ask, of any dream: Is it remotely possible that some part of this dream could manifest in the future, literally or metaphorically? 3. Learn to reenter your dreams to clarify information. 4. Come up with an action plan. If you don't like the possible future event you have dreamed, create an action plan to avoid it or contain it, or at least be fully prepared. If you do like a possible future you have dreamed, come up with an action plan to make it more likely that it will manifest. 5. Note when a later event seems to fulfill a dream. Try to identify personal markers that are telling you that a dream is about the future. He told her that he often went into this place in his imagination to pass time swiftly and shared that “soldier mortals” would not survive if they were not “blessed with the gift of imagination and the pictures of hope.” The second “angel of mercy,” he said, was the night dream, which presented him even more vivid pictures of hope than any daydream. The soldiers of both the North and the South in the American Civil War described conflicting emotions of loyalty to their individual causes, but letters describing a dramatic shift in consciousness when the soldier entered the battlefield, and the immense longing for “home” were universal, and the dreams in those letters were described generally as the most “real” dreams ever experienced. 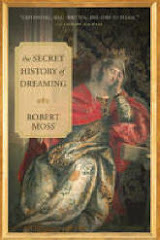 These dreams permeated the nineteenth century culture. They were printed as poems, written as songs, painted, scripted in journals and diaries and became the daily “news” in popular newspapers. They embodied a quality of immediacy and flawlessness of revelation that escalated with the increasing horror of the conditions of the reality of a war that began with hope for a short ending, occasionally seen even as a jolly adventure that would be over before it began, to the waking reality of a lengthy contest of grim terror that brought death, maimed bodies, disease and living conditions that deteriorated as the years wore on. If the soldier or family member could not integrate the dream with the waking reality, the nightmare, called Soldier’s Heart in the Civil War, took on a life of its own, consuming waking reality for those who could not find their way back to a safe and nurturing place. Mark Huber, Vietnam combat veteran, wrote that all veterans come home “naked in the dark,” referring to the barren, solitary feelings described by Tolkien’s character in Lord of the Rings who had lost his ability to feel anything. Mark Huber asked questions difficult to answer about those in the Civil War whose lives became a closed book once the war ended and the letters and diaries were packed away, and he couldn’t help but speculate on whether those soldiers in the South who lost their war had feelings close to his own of having lost his war in Vietnam. Did the Confederate soldier whose feelings of a noble cause turned to dust leave him standing alone with nothing left but anger at the human loss “expended in vain” for the wrong cause? Recognizing the power of dreams of home and family and of the gifts of the imagination could still be the missing piece to returning today’s soldier safely home and to offering families healing from the nightmare of war; a place where souls and hearts can mend and find humanity when horror and terror force themselves into the most protected and private places that struggle to keep body and spirit together and whole. Our culture is not so far removed from the Civil War that we cannot reclaim the power of dreaming as a vital part of healing soldiers and families experiencing home after a physical nightmare. Henry Lea Graves to his aunt, August 7, 1862, St. Petersburg. “Chiefly letters to and from Henry Lea Graves. 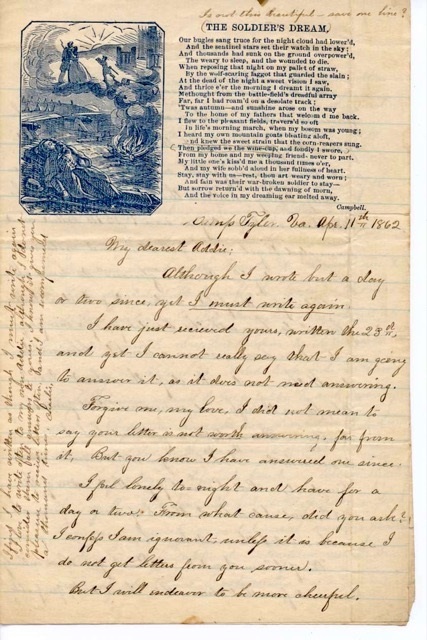 Letters from Graves discuss routine military life, maneuvers, camp life, and requests for mail; letters to Graves chiefly discuss life on the home front, family news, illnesses, etc. 1861 letters found Henry in the vicinity of Norfolk, Va.; letters in January-September 1862 found him in Wilmington, N.C., and Petersburg, Va.; October 1862-January 1863 letters found him in Petersburg and Richmond, Va.; and letters, 1864-1865, were received by him at Savannah, Ga., and Charleston and James Island, S.C.
 http://backstoryradio.org/civil-war-call-in-show/ Wanda Burch interview; Comment by Mark Huber, Vietnam combat veteran; J. R. R. Tolkien, Book Six, Chapter Three. “Mount Doom,” The Lord of the Rings. Brian Turner served seven years in the Army, most recently in 2004 as an infantry team leader in Mosul with the Third Stryker Brigade Combat Team, Second Infantry Division. His 2005 book of poems, “Here, Bullet,” challenges others to record and share their dreams, many of those responding by sharing the dreams of home that got them through the most difficult days. A young soldier reported on Turner’s blog dreams of home mixing with scenes in Baghdad but bringing him back home again in the terror of war. 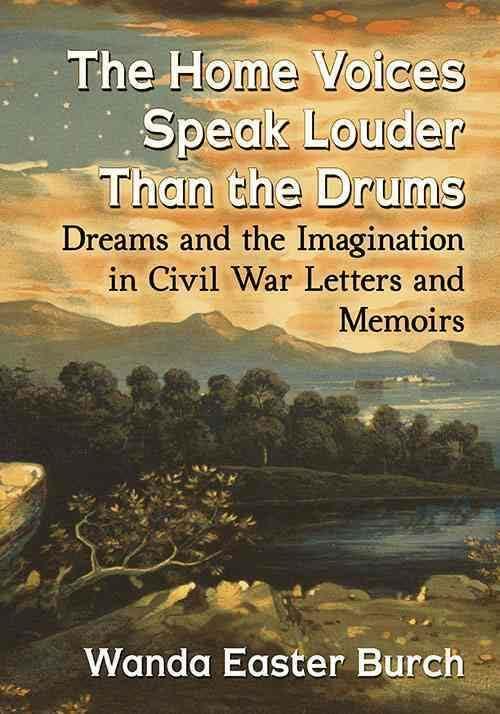 Text adapted from by The Home Voices Speak Louder than the Drums:Dreams and the Imagination in Civil War Letters and Memoirs by Wanda Easter Burch, just published by McFarland. 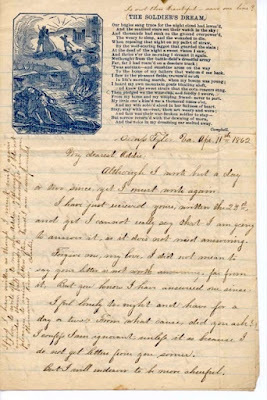 The letter at the top was sent by Charles [Charlie] Tenney of the 7th Ohio Volunteer Infantry to Addie Case, dated April 11, 1862.The stationery is an example of a kind that could be purchased at that time, featuring a popular Thomas Campbell poem titled “The Soldier’s Dream.” Campbell was a Scottish poet who died in 1844, but his poem found its way on letter heads and in soldier’s letters on both sides of the conflict. The actual letter is one of hundreds of letters between Charlie and Addie, many of them with dreams. Addie's dreams were extraordinary dreams of presentiment of Charlie’s death, the last one an out-of-body dream experience that crossed at the same period of Charlie’s actual death in a make-shift hospital in a church in Bolivar Heights, a community outside Harper’s Ferry. Many of us yearn for contact with departed loved ones. We miss them; we ache for forgiveness or closure; we yearn for confirmation that there is life beyond physical death. This is one of the main reasons why people go to psychic readers. Here’s an open secret: we don’t need a go-between to talk to the deceased. We can have direct communication with our departed, in timely and helpful ways, especially if we are willing to pay attention to our dreams and learn the arts of active and conscious dreaming. Sometimes we sense the presence of a deceased person we have loved. Sometimes this is accompanied by physical signs, little anomalies that suggest that something is moving through the veil of our routine perception and our consensual reality. Full-fledged visitations often take place in the spacious reality of dreams and liminal states of consciousness, quite often in the hypnagogic zone. In whatever ways they can find to get through to us, our departed come to visit for all sorts of reasons. They come to offer us guidance or assurance of life beyond death; sometimes they need help from us because they are lost or confused, or need forgiveness and closure. Encounters with the deceased are generally our best way of gaining first-hand knowledge of what happens after physical death. One of the cruelest things that mainstream Western culture has done is to suggest that communication with the departed is either impossible or unnatural. There is nothing spooky or “supernatural” involved, though these experiences take us into realms beyond physical reality. The easiest way for the departed to communicate with the living is through dreams -though sometimes the departed, as well as the living, fail to realize this. 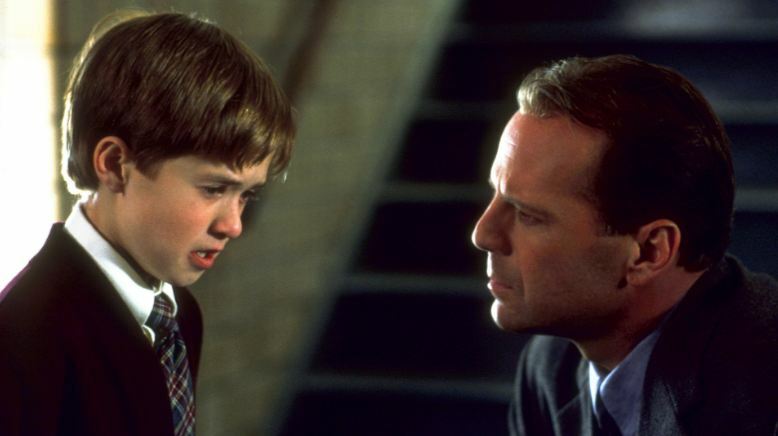 In the movie The Sixth Sense a psychically gifted young boy can see and speak with the departed. He plays counselor to a man who has died, is initially confused about his situation, and then dismayed that he cannot talk to his wife. The boy instructs the dead man, "Speak to her in her dreams, only then will she hear you". As the film suggests, sometimes the living are required to play guides for the deceased. In most dreams, the departed appear to be living, and very often the dreamer is unaware that the person he or she encounters is “dead” until after waking. The reason is that the departed are indeed alive, though no longer in the physical realm. The deceased may appear as the dreamer remembers them from their last days of physical life, especially in the first dream encounters. But over time, it is quite common for the departed to alter their appearance, to shrug off signs of age and bodily ailments, and to present themselves as healthy and attractive. People who died in later years frequently reappear looking around 30 years old. After my father’s death in 1987, he appeared repeatedly in my dreams to offer counsel to the family, bringing specific and practical information to which I did not have access in waking life. For example, he gave me the name of the realtor on the other side of the Pacific – someone otherwise unknown to me – who moved with great speed and humanity (once we contacted him because of the dream) to help my mother sell her home and resettle in a community where she spent some of the happiest years of her life. My father also made a happy dream visit to one of my daughters, who bitterly regretted never having known him in physical life; he showed himself as a handsome horseman, about 30 years old, and took her riding. Through many dream encounters with my father, I was vividly reminded that a departed loved one can truly play “family angel”. After he made certain life choices on the Other Side - which he explained to me - he was no longer available in the way he had been for several years after his death. However, he surprised me by dropping in last year to give me an important personal health advisory on which I took immediate action. After his death, my favorite professor from my undergraduate days in Australia began to appear in my dreams as a different kind of history teacher, instructing me that each of us belongs to a family of personalities in different times and dimensions whose dramas are being played out now. 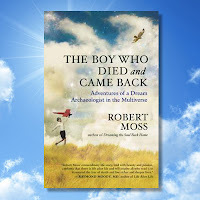 From my early childhood, when I gained first-hand knowledge of the other side when I died and came back (in what are now described as near-death experiences) I have had had frequent contact with people who are living on the other side.I have worked with thousands of dreams and other experiences of encounters with the departed that have been shared with me by others. While the deceased person in some of these dreams may be an aspect of the dreamer’s own personality or genetic inheritance – or a mask for a messenger from the deeper Self – the great majority of these dreams involve transpersonal encounters. When you become an active dreamer, able to shift consciousness and travel to other realities at will, you'll know that you don't have to go to sleep in order to dream. You can make conscious journeys to the Other Side for timely and helpful communication with the departed, learning about their current environments and transitions. You can invite a loved one to have chat with you over tea or a glass of wine. You can entertain friendly spirits in the liminal space of sleep and awake, and will want to learn the arts of discernment and psychic screening to make sure that you don't invite any unwanted guests. Let's notice that among your friends on the Other Side are beloved animals who shared your life and can prove to be impeccable allies. Chapter 7, "Dreaming with the Departed", in my book Conscious Dreaming. Photo: A boy psychic guides a dead man played by Bruce Willis in the movie "The Sixth Sense".